The Scottish Malawi Foundation is committed to supporting the development of local philanthropy in Malawi. We work with civil society in Malawi to build philanthropic instruments which will empower people to contribute to development in their own communities and be less reliant on external donors. Community Foundations have grown up around the world as a vehicle for building local philanthropy and developing expertise in charitable giving. Local knowledge is invaluable and avoids many of the problems unintentionally engendered by international philanthropy. 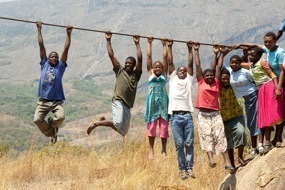 SMF is working with Malawian organisations to support the growth of local community foundations.